Dzogchen, or the "Great Perfection," is considered by many to be the apex of Tibetan Buddhism, and Longchen Rabjam is the most celebrated of all the saints of this remarkable tradition. 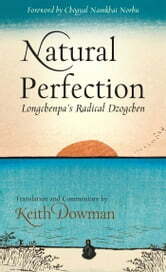 Natural Perfection presents the radical precepts of Dzogchen, pointing the way to absolute liberation from conceptual fetters and leading the practitioner to a state of pure, natural integration into one's true being. Transcending the Tibetan context or even the confines of Buddhist tradition, Longchen Rabjam delivers a manual full of practical wisdom. Natural Perfection is a shining example of why people have continued to turn to the traditions of Tibet for spiritual and personal transformation and realization. 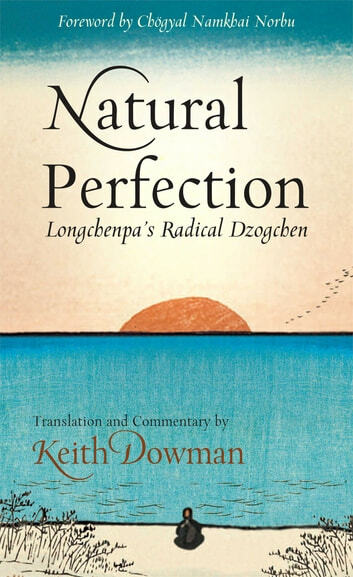 Keith Dowman's illuminating translation of this remarkable work of wisdom provides clear accessibility to the profound path of Dzogchen in the here-and-now.